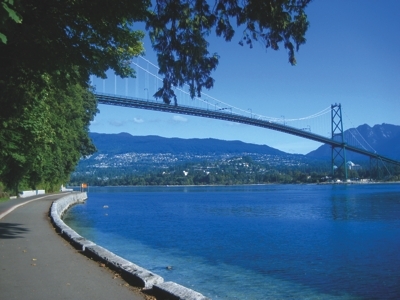 The University of British Columbia is a large and beautiful campus sitting on the end of the peninsula. One can stitch together a really nice run within the campus, touring some of the main academic buildings with their mix of architectures. Highlights include the library, art museum, law school, Museum of Anthropology, and the Center for Sustainability. UBC is bound by North Marine Drive to the north, W. 16th. Ave. to the south, and Westbrook Mall to the east. It’s ~1 mile north-south and 0.6 miles east-west. 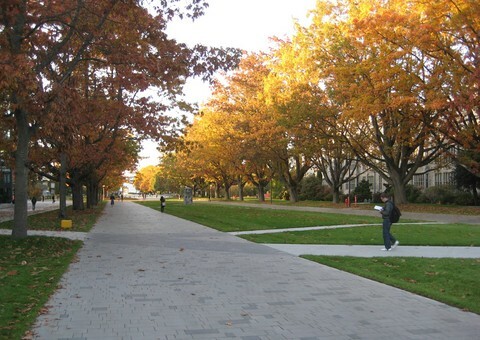 The highlight is Main Mall, which runs 1 mile north-south, terminating at the northern point with spectacular views of the water and the rose garden. Agronomy Rd. and Agriculture Rd. are good east-west paths for running. Chancellor Blvd and area: ., and some gorgeous residential streets between NW Marine Dr. and University Blvd. — Acadia Rd., Allison Rd., and College Highland. 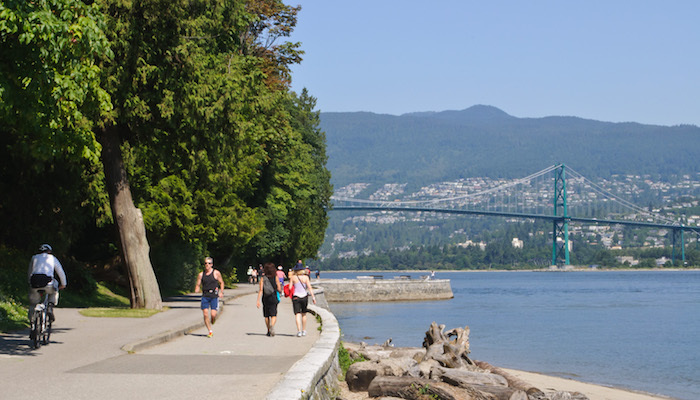 Head down to the beach: Take trail 6 to Wreck Beach and run along beach, heading east. The terrain can be rocky and challenging, depending on tides.